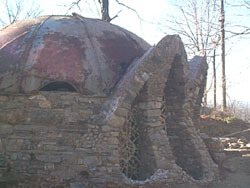 A unique architectural site in the Millbrook area that shouldn't be missed is Wing's Castle. 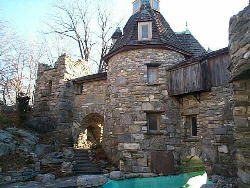 This Hudson River stone castle was built by Peter and Toni Wing using salvaged materials from antique buildings. The castle with 7 towers and moat took more than 23 years to build and they are still not finished. Please call for tour hours. My wife, two children and I toured Wing's Castle yesterday. Beautiful with stunning views of the Hudson River Valley and an eclectic collection of architectural artifacts, armaments, etc. Pretty much built from scratch by the Wings. 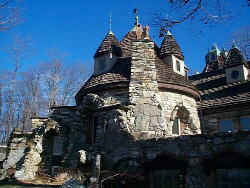 In January of 1999, Princess Patricia and I visited 9 castles in the New York area. Of the castles we saw, we agreed that Wing's castle was the most interesting. 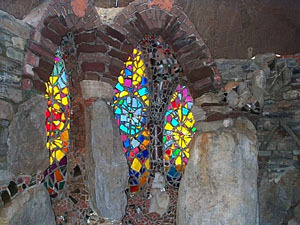 Peter Wing is not only a builder, but also an artist, and the work he has done on his castle shows this talent. 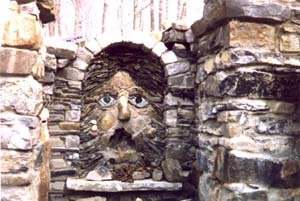 Where another castle might have a plain wall, Mr. Wing has crafted a face out of stone fragments. Where another castle might have a bathroom in the shape of a square or a rectangle, Wing's castle has one shaped something like a 3 leaf clover. Seeing the bathroom alone was worth the price of the tour, you will never see another one like it. 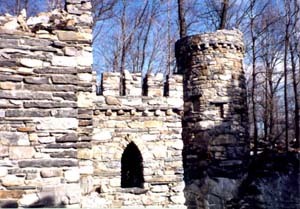 Anyone who is a castle lover and is passing through the area where Wing's Castle is located (not too far from Poughkeepsie), should make an effort to stop and see this one. One more thing that we do at the castle is a Shakespear at the Castle Summer Camp. For more information, go here - www.shakespeareatthecastle.com. 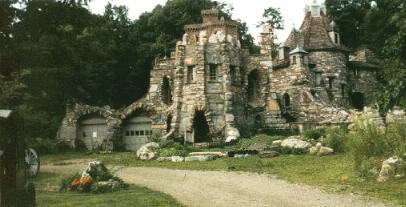 Wing's Castle has been selected for the 2016 Best of Millbrook Awards for Tourist Attractions.